Google Maps has undoubtedly made its way into the mainstream of Google products people use regularly. From finding directions to a friend’s house, checking the traffic at a certain time the next day or even just finding the closest pizza place within walking distance, Google Maps has its advantages. As a webmaster or business owner, there are a few things you can do to make sure you’re coming up within Maps on Google! This is extremely avoidable but still happens! When your business address isn’t correct, it will result in people not being able to accurately find your business if they elect to just hop in the car and go without calling to confirm. This can then lead to negative reviews on Google My Business pages which can bring your business negative publicity for the world to see. Did you say Google My Business? Google My Business is a business’ information that comes up on the right side of a search result when generally looking up that company name or that product/ service. Many don’t know you can verify the fact you own said business and make edits where see fit to this listing. Listing your companies’ accurate hours, business categories, and a radius of the area you service will drive more people to your Google My Business page and site. People viewing your Google My Business page can also make calls right from their phone when on the search result! Google always appreciates a website using their map on their site. It’s like free advertising for them! Look up your business within Google Maps and you can grab an HTML snippet that you can add right into the code of your website. With a little formatting, you will have a clean looking, accurate map of your business’ location. The algorithm Google uses doesn’t like when it sees conflicting information. Within the SEO industry, the term NAP is important. NAP pertains to Name, Address, Phone Number. If these are not identical, Google sees this and tends to put those who do have their NAP in order, before those that don’t. This is an easy fix that can often be overlooked! Boston Web Marketing has seen and experienced the changes Google has made through the years. We have seen the internet shift towards mobile and the introduction of apps like Waze, which is a Google product. Boston Web Marketing can help your business get found on Google Maps organically and via Waze ads which are becoming more commonplace today. 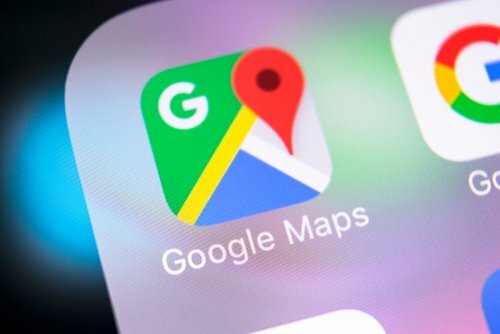 If you have questions about Boston Web Marketing capabilities regarding being found on Google Maps and all across the web, give us a call today!